Into Wholeness - Encourages Peace, Kindness, Quick Thinking, Courage, Adaptability, Forgiveness & Healing; Offers Protection & Grounding. Fox Medicine - a teacher providing guidance on swiftly finding your way around obstacles. You may be called to use or develop quick thinking and adaptability. Responsive, sometimes cunning, this power animal is a great guide when you are facing tricky situations. 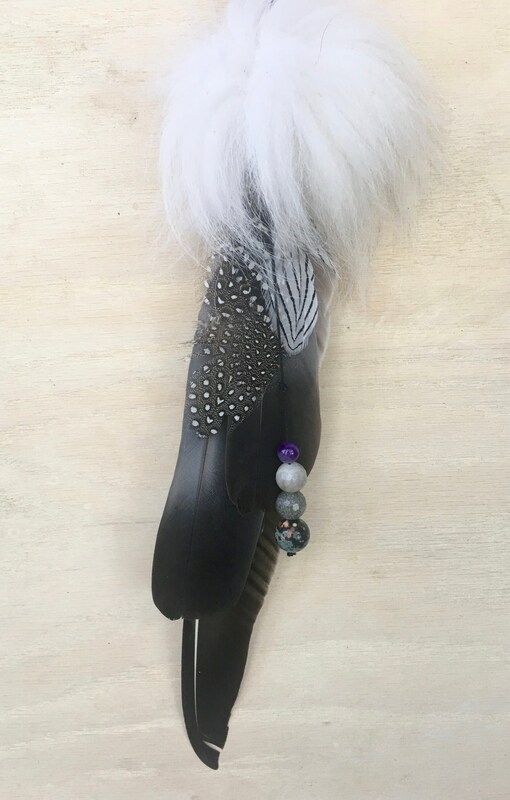 Goose Medicine - Feather - reminds us to follow our heart and not to be swayed by another's dreams. Carries the energy of kindness and bravery. Aids in communication, heightens intuition and unity consciousness. 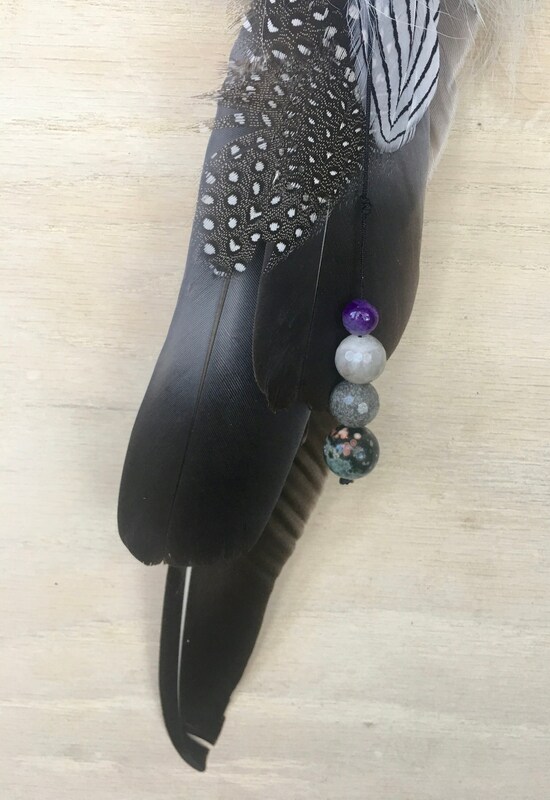 Pigeon Medicine - Feathers - bringer of peace and love, understanding of gentleness, spirit messenger, communication between the two worlds, maternity, femininity, prophecy. 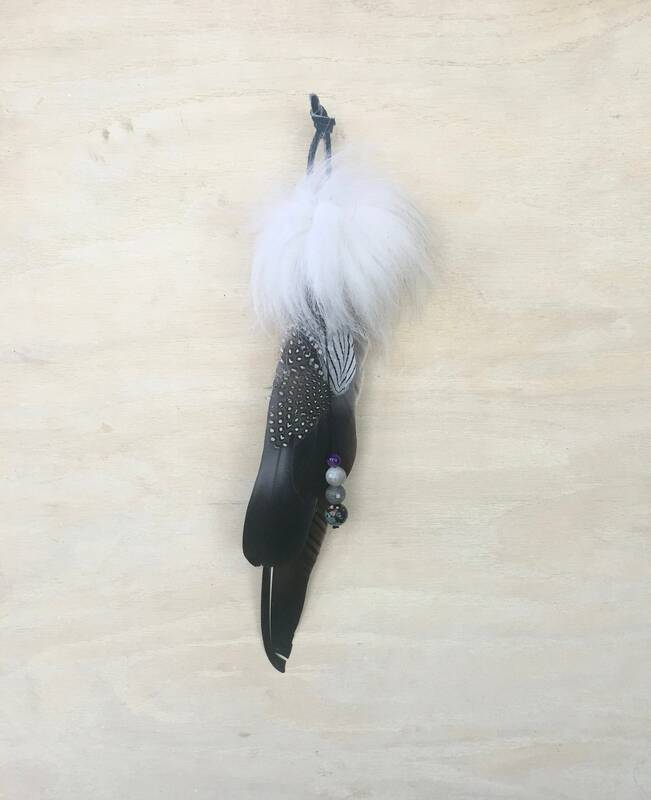 Guinea Hen Medicine - Feather - represents protection & groundedness, reminds us to allow individuality to shine. 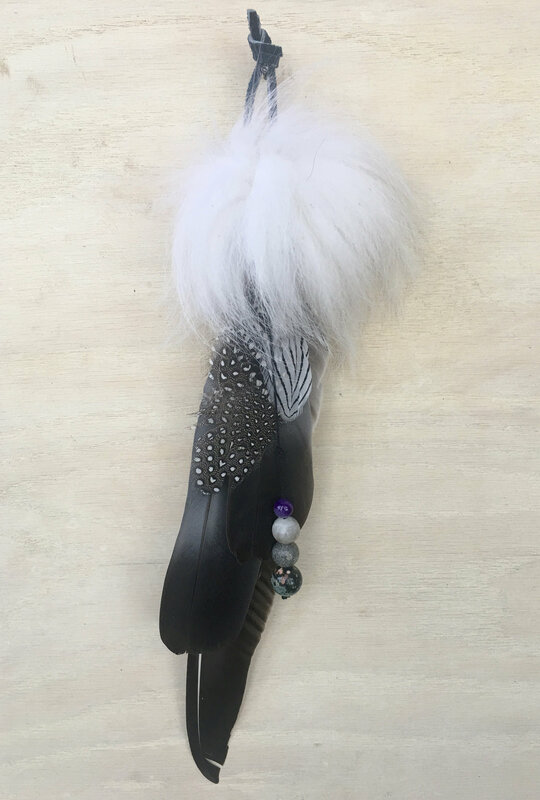 Silver Pheasant Medicine - Feather - Carries the symbolism of creativity, individuality and protection when needed. Reminds us to enjoy the beauty in life and to not give up. Ocean Jasper - helps you with your emotional health. Helps these feelings to be released in a way that allows you to process them calmly, without drowning in them. it offers a soothing, grounding effect helpful in dealing with change. Helps you to love yourself as well as others. Hematite - assists in the release of preconditioned patterns and helps to open up to seeing other points of view. Brings relief and peace from stress and revitalizes energy. It enhances optimism and assists in grounding. Repels negative energies. Amethyst - powerful protective stone; strong healing and cleansing powers; enhances spiritual awareness, promotes love and forgiveness; encourages selflessness, promotes emotional centering; dispels fear and anger. Quartz - powerful energy amplifier, attunes to the perfect energy of the person needing healing; raises energy to higher levels physically and spiritually, master healer. Injects clear white light into the aura that acts to elevate ones vibration and to purify stagnant energies and blockages.